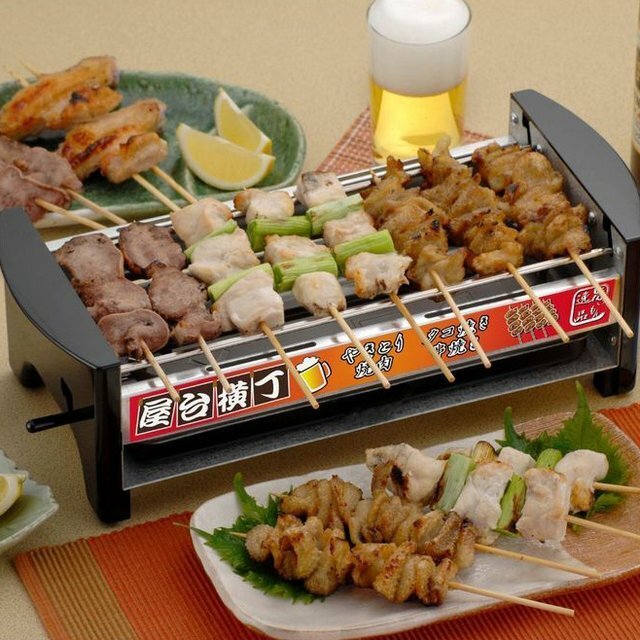 With this simple but practical electric grill you can enjoy some of the best kinds of local cuisine, including yakitori skewers, takoyaki (octopus dough balls, famous in Osaka) and yakinikku (Korean BBQ). Featured several times in the Japanese media, the safe and efficiently sized grill can sit on your dining table and let all your family and guests partake in the fun of cooking these well-known dishes. This type of grilling is also one of the healthiest ways of eating meat as a lot of the fat and oil burns off into the tray below.